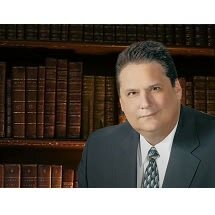 Steve Rossi has been a member of the Florida Bar for the past 20 years. He has been recognized as a Board Certified Criminal Trial Attorney. Certification is the highest level of recognition by The Florida Bar of the competency and experience of attorneys in the areas of law approved for certification by the Supreme Court of Florida. Mr. Rossi also represents the Broward Teacher's Union (BTU) as its local, legal counsel. The Broward Teacher's Union has more than 15,000 members. The Broward Teachers Union's members are in the 2nd largest district in the state and the 6th largest in the country. He has handled various teacher-related cases in both civil and criminal matters. He presents various lectures and workshops focusing on education law. He is an annual instructor for the Broward County School District's New Teacher Orientation Program discussing various issues in teacher liability matters. Mr. Rossi is a lawyer deeply rooted in the community. He is a long time South Florida resident. He has attended grade school, high school, college, and law school all in South Florida. He attended Barry University where he obtained his obtained his Bachelor of Science Degree and the University of Miami School of Law where he obtained his law degree. He has handled various legal matters throughout the state of Florida and around the country. He speaks Italian and conversational Spanish. Monday-Friday, 9:00am-5:00pm. By appointment on Saturday.